miniature version of the Philo T. Farnsworth statue installed at the U.S. Capitol and Utah State House. This particular maquette was given to the inventor’s wife Pem Farnsworth for her input and approval. 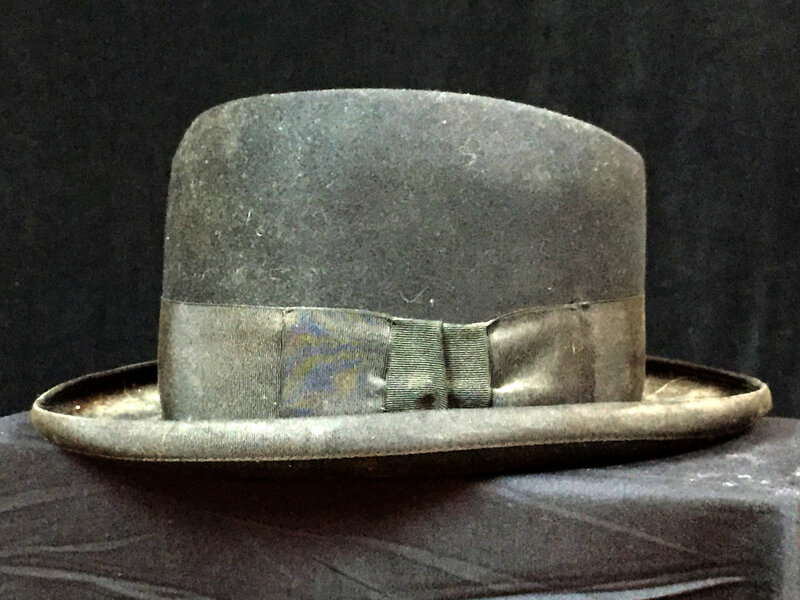 Philo Farnsworth’s hat. Worn on his trip to Europe to sell television to the English and the Germans. The English licensed it to create radar, the Germans used it to broadcast the 1936 Olympics. An actual disc from the harrow disk Philo Farnsworth was using to create the lines in the dirt that inspired the concept of electronic television in 1922. Closeup of the actual harrow disk which was displayed at the Philo Farnsworth Museum in Rigby Idaho. Kent Farnsworth authenticates it with the words, “Most likely is a disc form the harrow PTF used in Idaho. The source is trustworthy.